APPLE VALLEY, Calif. -- A man was arrested and booked for burglary after surveillance video showed him stealing items from a business while wearing a feminine hygiene product on his face in Apple Valley. 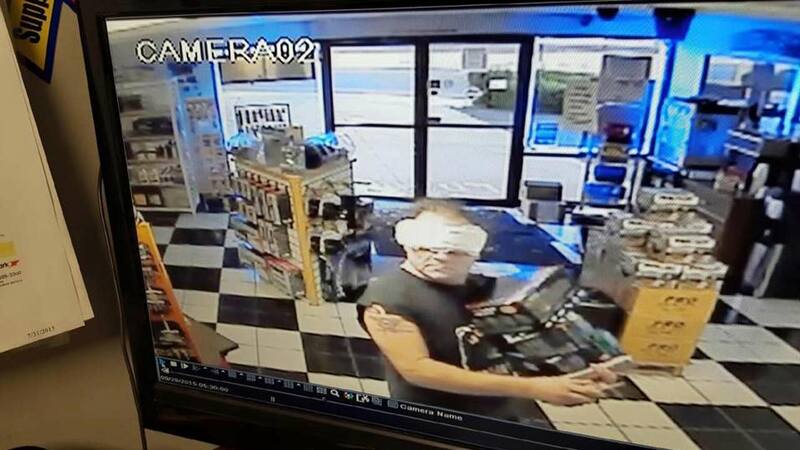 San Bernardino County sheriff's deputies said the suspect, Gary Victor, used a piece of wood to break into a Battery Mart located at 21075 Bear Valley Road Monday around 6:40 p.m.
Officials said Victor had the female sanitary napkin taped to his face to cover his identity during the burglary. After allegedly stealing various items, deputies said Victor fled in a white 1992 Dodge Dynasty. Deputies were able to locate the suspect in the 10000 block of Nambi Road. After searching his vehicle, they recovered all of the stolen merchandise. Police said they also recovered evidence related to the burglary inside the residence. Victor was booked into the High Desert Detention Center.